Meal delivery services allow you to enjoy well-portioned and healthy foods without having to lift a finger cooking. For many, choosing organic ingredients is a key way to eat healthy. Sure, non-organic meals can be healthy as well but organic is a good way to ensure that the ingredients are high-quality and nutritious. The trouble with ordering meals online is that many services claim to be “organic”, but what they means is that it's “mostly organic”. Trifecta is my #1 choice on this list because they offer fully organic meals. In fact, focusing on organic food is one of the simplest ways to ensure the ingredients are fresh and sustainable. After all, companies need to take extra steps to ensure their ingredients are organic. The ones that do so tend to produce better food overall. If nothing else, they care more about the quality of individual ingredients. All of the companies in this list claim to offer organic meals. Many also rely on local and/or seasonal ingredients, along with sustainably sourced meat and seafood. You'll often find a reliance on wild-caught fish and grass-fed beef as well. However, the organic status of companies isn't always simple. Some use organic ingredients but do not guarantee that their meals are entirely organic. Others state that they use ‘mostly' organic ingredients or focus on them ‘whenever possible'. With companies like these, most of the ingredients are probably organic at any given time but there may be some that aren't. The practices seem like misleading marketing – and they are to a degree. But, there's also an element of practicality. Most companies won't be able to rely only on organic ingredients and still provide consistent pricing and a reliable menu. And, as some companies point out, not all ingredients have an organic labeling system. As a result, most companies cannot ever be 100% organic. With this list, I provide as much information as possible about what the company offers. That includes where their food is sourced from and how strongly they emphasize organic. The details won't provide a full picture but they do offer a good overview about the emphasis of the company. Be warned though – many of the companies love their marketing. So, their phrasing is designed to make them sound as good as possible. I've focused on getting past that with my summaries but I still have to rely on the information that the company provides. So, although I usually talk about dietary requirements for meal services, like dairy free, gluten free, paleo, or vegan, this time I wanted to list the prepared meal services that specialize in organic ingredients. Some of these offer frozen meals, while others provide fresh ones. I came across 22 of them so far. Do you know of more? Let me know in the comment section! Trifecta is a prepared meal service that delivers fresh, organic and ready-to-eat meals all over America. They offer multiple meal plans, catering for various diet types including paleo, vegetarian,vegan, and clean eating. a variety of meals that cater for Paleo, Clean and Vegan diets. An A La Carte menu is also available with menu items such as the flat iron steak, portobello mushrooms, casein protein bars, and wild salmon. All of their meals are also gluten, dairy, and soy-free. They only serve meats and seafood that are wild and sustainably sourced. Their meals also incorporate organic fruits and vegetables. They are USDA certified organic as well, which is unusual for a meal company. Each of the meal plans offers its own complexities. For example, the paleo meals are free from sugar, grain and dairy (although the company doesn't mention legumes). The clean eating plan focuses on lean protein and minimally processed ingredients. The classic meals focus on traditional meal prep approaches, each containing 4 oz of meat/fish, 4 oz of carbs and 4 oz of vegetables. Trifecta offers five different meal plans to choose from, along with an unusual A la Carte menu. Uniquely, the food delivered by the meal delivery service is color-coded according to meals. There is blue for breakfasts, green for lunch and orange for dinner. They also do not charge for shipping. Their meals are also flavorful for low sodium meals. They don't allow for meal customization within the plans, which is a shame if you have allergies. However, the classic plan does allow you to choose which meals you want. The pricing for the paleo and clean meal plans start from $108.43 per week. The classic meal plan costs $119 per week, while the vegan and vegetarian plans both start at $113.90 per week. In each case, you can make some changes, such as how many meals you get per day. The A la Carte menu is a little unusual, allowing you to order various individual ingredients per week, rather than meals. For example, you can get 1 lb of quinoa for $8.99 per week or 2 lb for $16.99. Other options on the menu include cherry tomatoes, broccoli, sweet potato, flat iron steak, turkey, and salmon. Fresh n’ Lean delivers plant-based organic meals with no preservatives right to your doorstep every week. They offer four distinct meal plans to choose from. These are: ION Performance +, ION Performance Paleo (Low-Carb), Standard Plant-Based Plan and Low-Carb/Low-Cal Plant-Based Meal Plan. The first two use meat in many of the meals, while the other two are vegan. Regardless of the plan, all of the meals are dairy-free, gluten-free, and organic. They also tend to be low in sugar, fat and sodium, with a high reliance on plants. With Fresh n' Lean, you can choose to have breakfast, lunch, and/or dinner delivered for either three or five days each week. The price varies depending on which options you choose. For example, the Low-Carb Plant-Based Plan costs $11.33 per meal if you're getting three meals per day. The price changes to $13.99 per meal if you're getting two meals each day and $15.99 for just one. Each of the four meal plans has its own pricing structure, with the Standard Plant-Based Plan being the cheapest and the Ion Performance Paleo Plan being the most expensive. While the pricing is a bit confusing, the style does at least provide plenty of choice. The main limitation is that you don't get to choose your meals. Instead, you get whatever is on the menu for that week. There is also an A la Carte menu, which allows you to choose meals individually. There is a $90 minimum order here and the prices vary depending on the meal. Still, they look appealing and this is a good option if you like flexibility. Fresh n' Lean has a somewhat confusing website with complicated pricing but their selection is very good. The overall style would work for many situations. The individual menus are also very interesting, offering a range of interesting meals. You can check these out as an indication about what to expect. One other aspect to mention is that there are fewer breakfasts per menu than other items. This means you'll probably get the same breakfast more than once each week. That's not a serious issue but it's something to be aware of. If you are looking for organic and GMO-free meals, Factor 75 is a fantastic company. They have a very strong focus on food quality. This includes relying on grass-fed and pastured meats, as well as avoiding any hormones and antibiotics. All meals are completely free of gluten and soy. Factor 75 doesn't use added sugar or artificial sweeteners either. In this case, there aren't specific menus to choose from. Instead, you select how many meals you want per week and then choose which items you want from their selection. The available meals change regularly, so you'll never get bored. They are also tagged as being ketogenic, paleo, dairy-free and/or spicy. This makes it easy to spot which ones are going to work for you. The style gives you much more choice than many other companies. The main limitation is that just most of the meals are dinners, giving you few options if you want breakfast too. I'm also very impressed with the way the meals are presented. Factor 75 offers high-quality photos of most of their meals, often including images of the ingredients before cooking as well. There is also detailed nutritional information, so you know exactly what you're getting each time. Factor 75 has an especially strong emphasis on quality and allows you to choose the meals you get each week. Unlike other healthy meal delivery services, they believe fat is good. They use monosaturated fats to prepare their dishes. These fats have in the recent past been linked to the growth and development of healthy hair, nails, and skin. They also promote improved sleep and hormone balance.The one setback about their services is that majority of their food could taste too spicy or bland to some people. With Factor 75, you simply pay based on the number of meals you're ordering. The options are 4, 6, 8, 12, and 18 meals per week. They cost $60, $77, $99, $138, and $198 per week, respectively. This averages out to between $11 and $15 per meal, depending on the frequency you choose. The pricing isn't too bad, as long as you're going with one of the higher frequency plans. Plus, you can be certain you'll get quality food for your money. Whitney Tingle and Danielle DuBoise formed the Sakara meals delivery service to bring real food to your table every weekday. Their offerings are mainly vegan meals, and they add daily caffeine-free beauty and detox beverages to the list. They pride themselves in preparing wholesome meals, and all their dishes are gluten and dairy free. They also do not serve any eggs, meat or seafood. Sakara only has two delivery options; the Live It plan which is a subscription service and the Taste It plan that allows you to try the meal delivery service before you commit to it. With both options, you can choose to have one, two or three meals a day. You can choose between the three-day and five-day delivery options. Sakara does not deliver on the weekends. Sakara offers plant-based meals with a strong emphasis on greens. One unique feature of the meal delivery service is that they have a vast selection of organic snacks. You also get support from their certified health coaches. Sakara’s food does not have to be heated; their meals are designed to taste good when cold, and you only need to warm them if you prefer it that way. Their menus include good chocolates, chips, jerky, probiotic blends and protein bars. They, however, do not allow for meal customization and there isn’t much variety from their menu. You also don't get to choose what meals you get each week. The meal prices for both the Live It and the Taste It plan are the same. Breakfast costs $26.67, lunches priced at $ 28.33, and dinners cost $31.67. The minimum order amount is $109. The meals service charges $10 for shipping for the Taste It orders. However, there are no shipping charges for the Live It plan. The options and prices do also vary depending on where you are. For example, people in the local delivery area can have ingredients excluded due to allergies, while those in other areas cannot. The number of deliveries you get each week also depends on your location. The Pete’s Paleo brand was started by Chef Pete in San Diego and most recently expanded shop to Atlanta. The prepared meal service offerings cater for the paleo, paleo AIP, ketogenic and low FODMAP diets. The meals are also free from gluten, grains, soy and dairy. They pride themselves on using organic and non-GMO plant-based ingredients. Their meat ingredients are pastured and grass-fed. The premise behind the meal delivery service is to bring you a seasonal, natural fine-dining experience. The seasonal approach means there is always variety. The meals are chosen based on what is currently in season and they are always fresh rather than frozen. There is also a strong emphasis on flavor, much more so than most other companies. However, there are considerable inconsistencies in the calorie content of their meals. This is relatively common on a paleo diet, as the goal is to focus on what you're eating, not calorie count. Even so, that variation could be a problem for some people. Pete's Paleo offers fresh, seasonal and organic meals, many of which simply look amazing. There is considerable flexibility in their ordering options. You can choose between 5, 10, or 14 regular meals, or you can go with a family plan (five meals with four servings each) or a ten-serving vegetarian plan. Many options allow you to add on extra sides and to double the protein. You can also choose to avoid pork if you want to. The pricing for the five meal plan is $123, the ten meal plan is priced at $189, while the 14 meal plan costs $249. For the family plan, you will part with $324. The vegetarian plan goes for $129. Beyond all of this, there is an ‘Eat What You Love' section. This allows you to choose five (or more) meals from a limited selection. These are all frozen and typically vary between $14.25 and $18.25 per serving. The selection isn't large and these are expensive for frozen dinners. But, they do look very high-quality. Since 2015, The Good Kitchen has been delivering organic, ready to eat meals to doorsteps across America. The company focuses on organic produce, gluten-free grains, and non-GMO ingredients. Animal-based protein is also grass-fed and pastured. There is an emphasis on simple ingredients as well and The Good Kitchen avoids anything heavily progressed. The service is strongly designed for convenience and all meals can be ready to eat in three minutes. There is considerable flexibility too. The adult meal plans allow you to choose anywhere from five meals (for $70) to 35 meals (for $385), with every option in between. This results in costs of between $11 and $14 per meal. You can also get your meals every week, every other week, every month, or as a one-time order. There are also kids meals, which are called The Lunchbox. These are styled like lunchables and include easy to eat dishes. This time, you can choose between seven meals (for $48.93) and 35 meals (for $244.65), with the same timing options. Shipping is always free. Once you've chosen your plan, you get to choose precisely what meals you want (or, you can let The Good Kitchen do that if would rather). The selection isn't as decent as some other companies and some of the meals do sell out. This means you'll probably need some duplicates if you're ordering more than fifteen meals a week or so, or if you don't like all of the choices. The Good Kitchen has some interesting meals and one of the most flexible meal plans that I've seen. There are also meal boxes, which contain 40 different meals in bulk. These are all frozen and you have no choice about what is included. These are good if you want to stock up your freezer. The food service’s unique feature is a list of all their suppliers on the website. Their meals are also very good for weight loss and management. The only issue is that the portions are on the small side and may not be filling for very active people. Based in Denver, Colorado Caveman Chefs is a prepared food service that supports a range of different diet types. The company is primarily paleo but they also provide Whole30, AIP, low FODMAP, keto, dairy-free, gluten-free, and soy-free meals. They rely on organic ingredients, while also focusing on grass-fed wagyu beef and lamb, along with hormone-free chicken and pork. Their fish is wild caught as well and they use local and seasonal vegetables. Like most paleo companies, the meals are also focused on whole foods, so you won't see processed ingredients. One unusual aspect is their meal plans. They offer Medium, Large, and XL options. Each of these plans allows you to either choose six or ten meal per week. You can also opt for their by the pound dinners. With this option, you can either have three or five by the pound dinners per week. There are three sizes there as well, either 1/2 pound, 3/4 pound or 1 pound. Caveman Chefs doesn't let you choose your own meals but has some interesting options that most other companies don't offer. In addition to delivered meals, they also offer catering services for weddings, office parties, and any other special events. The Caveman Chefs’ menu rotates on a weekly basis, and it can be up to six weeks before you repeat a meal. However, they do not have micronutrients information on their packages and you cannot select which meals you receive. Regardless of how many meals you get per week, the Medium meal plan costs is $13.75 per meal, the Large plan meals cost $16.25 per meal, and the XL plan costs $18.75 per meal. All these packages come with monthly billing. If you choose to get six meals per week, the starting costs are $330, $390, and $450 each month, respectively. The pricing varies for the dinner by the pound meals. But, as an indication, the lowest priced option is the 1/2 pound meals three times per week. For a month, this costs $365. Veestro is an entirely plant-based meal company. The meals all rely on organic ingredients and are free from preservatives. There are also gluten-free options, although the service as a whole is not gluten free. One of the most interesting aspects is the different options. With Veestro, you can order through meal packs or get meals individually through their A la Carte menu. There is also a specific weight loss plan and a juice cleanse plan. The plans offer additional options and might be especially relevant for anyone wanting to lose weight. The meal packs come with various options as well. There are eight of these to choose from, including Gluten-Free, Protein Pack, 21 Day Kickstart, Meatless Monday, and Kosher Pack. Each of those meals vary in exactly what they offer, including how many meals. Most are one-time only. But, a few (like Gluten-Free and their Protein Pack) offer subscription options as well. The prices are reasonable, starting at either $8 or $9 per meal. However, you do order them as packs, so you need to pay the entire fee up front. How much that is depends on the pack and its size. For example, the Starter Pack contains 12 meals and one juice, costing $99, while the Protein Pack contains 25 meals and costs $229. Veestro is a plant-based option. The company doesn't provide much customization but there are many meal packs to choose from. Their A La Carte menu has a relatively decent selection and there are some desserts, breakfasts, and juices in the mix, rather than just dinner. The full meals start at $10 per meal, although most are between $10.99 and $11.99. The biggest problem is no customization. You don't get to choose which meals you'll be receiving. In fact, you only get to see a sample menu, so there is little information about what you can expect. You can't make requests about allergens either. The best you can do is choose a menu that is going to meet your dietary needs. That's fine for many situations but it is a limitation worth considering. Unlike other food delivery service, Munchery not only delivers chef crafted prepared meals, but they also have a meal kit service. They are also the only service on this list with a membership component. That aspect means that you can be a paid member and get a discount on your meals. The meals they prepare and the ingredients they deliver are all-seasonal, natural and organic. Their meat is also antibiotic free and any fish is wild caught. You order meals individually, rather than through a meal plan. This lets you pick and choose which meals you want. I have reviewed Munchery in the past and you can read more information in my full review. However, I was focused on the meal kit aspect of the service, not the delivered meals. An unusual aspect is convenience. With Munchery, you can actually get meals on the same day that you order them. Alternatively, you can plan ahead and schedule your meals. Either way, you get to choose which meals you want and when. All of the meals are chilled, not frozen. They're easy to simply heat and eat as you need them. The meals also look great and they seem to have a strong focus on salads and bowls. This style is a nice variation and helps make sure you get many nutrients in your meals. Munchery doesn't have the largest selection but they offer same day delivery, which is simply amazing. Currently, the service is only available in 15 states and there isn't a large range of meals to choose from. These do vary seasonally, with some menu items being added and others removed. Even so, having a small number at a time can be a problem, especially if you want multiple meals each week. There is also no accommodation for allergies or special requests. Because you're choosing the meals yourself, you can avoid anything you don't want. This makes it possible to use Munchery if you're a vegetarian or vegan. But, due to their limited menu, this process gets frustrating fast. Pricing for their prepared meals starts at $10. They have sides, salads, and desserts and their prices start at $4. The prices for meals for kids start at $4. Delivery charges are at least $3. Their subscription fees start at $51.95. If you want to be a member, they charge $8.95 per month. One of the benefits of being a member is you get $2 off any order you purchase. Beetnik is an organic food company based in Austin, Texas. They deliver frozen ready to eat natural food and sauces. Their meals are free of high fructose corn syrup, artificial colors and flavors, hormones, and antibiotics. They opt to flash freeze their food to avoid using shelf stabilizers and preservatives. Beetnik meals are USDA-certified organic. They're also gluten-free and many are paleo. The packaging from Beetnik looks a little like a grocery store freezer meal. But, their food philosophy shows that they have a very different focus. They have a strong emphasis on sustainable ingredients, including grass-fed beef. Organic jalapenos, honey, ground cumin, and cocoa powder are also some of the natural spices flavors for their dishes. Beetnik offers a relatively small selection of frozen meals but they are inexpensive and use healthy ingredients. Beetnik’s single meals menu has a meals to choose from. Some examples include: Beef Chili and Sweet Potato (made of grass-fed beef and organic sweet potatoes), Grass-fed Beef Bolognese, and Grass-fed Beef Kheema (An Indian dish made of grass-fed ground beef, onion, garlic, ginger, peas, paired with rice). There are currently 18 meals to choose from in total and each costs $7.99. Even though the selection is limited, the pricing is very good. The company also releases new dishes from time-to-time, so the range should expand. There are also pasta sauces on sale, along with organic frozen meatballs. You can simply order the meals individually, choosing how many of each you want. But, there are also value packs and variety packs. The value packs all contain eight meals for $59.99. That calculates out to around $7.50 per meal. The catch is that each value pack contains eight of the same meal. The alternative is variety packs. These contain a mix of meals – although you don't get to choose what you get. One of these is the Paleo Variety Pack. This only contains paleo meals and costs $84.98. You get 11 meals for that price, so it averages out at around $7.70 per meal. The other option is the Whole30 Pack, which provides eight meals for $62.99 (for an average of $7.90 per meal). In all cases, you save a little money by ordering through the packs rather than individually. But, not a large amount. Their website and online ordering services are appealing and easy to navigate. On the downside, you could find some foods listed on their menu unavailable. IONutrition may sound familiar, as the service is directly related to Fresh n' Lean, which was featured earlier. Basically, two of the meal plans from Fresh n' Lean are served through IONutrition. But, it is technically a company of its own, so we're still going to take a look at what they offer. The service itself focuses on organic, dairy-free, and gluten-free meals. But, their main emphasis is on performance. These are the meals that you want if you're very active or if you find that regular meal services are simply unsatisfying. There are four main options to choose from. These are the Original Plan, the Protein + Plans, the Paleo Diet Plans and the Vegetarian Plans. Each of these has a different combination of macronutrients. For example, the Protein + Plans offer 45 – 65 grams of fat and 90 – 125 grams of protein per day, while the Vegetarian Plans contain 30 – 40 grams of fat and 50 – 75 grams of protein. This allows you to choose the plan you want based on your nutritional needs. In each case, you can choose one to four meals per day. The prices start at $9.35 per meal for the Vegetarian Plans, $12.25 for the Original Plan and $13.25 for the Paleo Diet and Protein Plus Plans. As always, the precise totals vary depending on your choices. The company operates from a weekly menu, so you don't get to choose your meals. But, their sample menus look appealing and the dishes are bound to be interesting. You can also order A la Carte. The selection here is limited and meals tend to sell out. The price varies depending on what you order but most meals are between $11.99 and $14.99. IONutrition focuses on high-performance meals and does include some interesting options – even though their pricing structure isn't clear. For the most part IONutrition is appealing. Their meals seem powerful and it's nice to find prepared dishes that are high in protein and actually satisfying. They look good too and the combination of ingredients seems to work well. But, like Fresh n' Lean, the website for IONutrition is somewhat confusing. It's not even clear how much the different plans cost, as various parts of the site seem to contradict one another. To get a realistic idea of the pricing, you'd need to step through an order and look at the totals. California Chef Services is unusual in many ways, including their organic aspect. Most companies out there either use organic ingredients or they don’t. But, California Chef Services has both types. Needless to say, non-organic is cheaper (starting at $25 per meal) but the price difference isn’t much (organic starts at $28 per meal). The reason for this and for the pricing is the company’s style. Instead of offering set menus and meals, California Chef Services creates meals individually, based on the preferences of the customer. This means your meals are uniquely tailored to you, even if you have complex dietary needs. That’s a service that most other companies simply don’t provide. California Chef Services offers entirely personalized meals but their service is expensive. Of course, the price is a serious limitation. Having to pay $28 per meal is extreme. There are some photos of the meals on the site but it’s still hard to know how they compare to other companies. California Chef services also just serves the greater Los Angeles area and will only be useful if you’re in that region. At the end of the day, the service is best suited for those with specific needs. It isn’t the most powerful organic meal delivery service nor is it the highest quality. But, it has more customization options than other services. It could be perfect for people with complex dietary requirements or specific preferences about the food they like to eat. 22 Days Nutrition is a vegan meal delivery service that specializes in healthy food. This includes using organic ingredients and excluding soy and gluten entirely. All of the food is shipped to you in a refrigerated box and is never frozen. You simply need to heat it up and then you can eat. The meals provided look amazing and they’re perfect for anyone who wants to eat more vegetables. For example, there are options like Potato and Chickpea Summer Salad, and Sesame Lentils with Cabbage. 2 Days Nutrition offers various meals and multiple plans to choose from, for reasonable prices. There are two different ways to order. The first is A la Carte, where you’re purchasing the meals individually. Lunches and dinners cost $12.95 through this menu, while breakfasts cost $6.95. There is a limited selection and they sell out fast. However, the meals do change weekly. The other approach is to use a meal plan. There are three of these, which are the 5-Day Plan, 7-Day Plan, and 22-Day Plan. They start out at $12.50, $11.50 and $9.50 per meal, respectively. In each case, you can choose whether you want two meals per week (lunch and dinner) or three (breakfast, lunch, and dinner). You can also choose whether you get the meals once or on Auto Ship. The latter is just a subscription service and you save 5% on the total cost. For a vegan and organic service, the prices are actually very reasonable, especially if you go with one of the longer plans. The largest limitation is the lack of flexibility. For example, you can’t just get three meals per week. There is no option for one meal a day either. As such, the service isn’t helpful if you want dinner only. 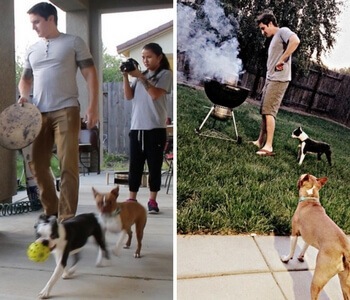 Unlike most companies, Nurture Life focuses on younger family members. They offer fresh and organic meals for babies, toddlers, and kids – something that few other companies do. The style and plans are also carefully tailored to the nutritional needs of children as they age. They offer different plans for the three groups and subsections within those groups. For example, the Baby Plan contains Stage 1 (6+ months), Stage 2 (8+ months) and Stage 3 (10+ months). Stage 1 focuses on pureed food, Stage 2 starts to add new flavors and combinations, while Stage 3 offers soft food that is tender but not pureed. Nurture Life is entirely targeted at children, supporting their nutritional needs as they age. Similar patterns occur with the other groups as well. This creates a uniquely tailored plan that is very nutritious. All of the details are easy to find on the site as well, including pictures of the various meals available. The price depends on which plan you choose, along with the amount of food. There are many combinations due to the different age groups and stages. But, the smaller size costs between $35 and $62 per week, depending on age. This one offers eight meals per week for babies and five meals per week for other age groups. The larger size costs between $60 and $119 per week. It provides 14 meals for babies and 10 for other age groups. Nurture Life is unique in that they only cater for children. You would still need a separate service for yourself or to make your own food. But, if you’re wanting good food for your kids – this is the most specialized service out there. If you’re after organic plant-based meals, Thistle is a powerful choice. The company offers breakfast, lunch, and dinner, along with various juices, soups, and snacks. While the meals heavily focus on plants, they don’t have to be vegetarian. Most can use meat- or vegetable-based protein, depending on your preference. I will admit, the meals look amazing. They seem like the type of dish that we all should be eating – even though most of us don’t have the time, imagination, or energy to do so consistently. The meals are menu-based, so you simply get what is on the menu each time, with no ability to choose. Thistle has a strong emphasis on plants and superfoods, while giving you plenty of options. Thistle offers flexible meal plans. Members get to choose whether they want plant or animal protein, along with the number of meals and snacks. Meals can be ordered for three, four, five, or six days each week. Plans can also be easily modified or you can choose to skip or cancel at any time. But, the style is unusual. Basically, you need to first select a base plan and then swap the components of that plan until it matches what you want. That’s not the best design and could be frustrating to use. Still, it does offer considerable flexibility and that’s very important. Options also vary depending on your location. If you’re not in the local delivery area (SF Bay, LA, SD, and OC), you can’t access most of the snacks and extra options. You also just have access to two meal plans, which offer six and nine meals each week. Currently, the company is mostly limited to California, so you might not be able to get the meals where you are. MamaSezz is another plant-based organic option. All of their meals are prepared in-house, using organic produce from local farms in Vermont and New Hampshire. The service is vegan and their meals also exclude refined sugar, GMOs, gluten, oils, and preservatives. There are no specific meal plans to choose from. Instead, MamaSezz uses a variation of A la Carte ordering. This allows you to order the meals individually, picking the ones that interest you the most. You’re not just limited to dinners either. MamaSezz also has many sauces, snacks, and sides to choose from, along with lunches and kid-friendly meals. MamaSezz offers multiple serving meals at a surprisingly reasonable price. The dinners typically cost around $15.99. That sounds high, even for organic food. But, most contain three or four servings, making them good value for money. There is no minimum order size either, so you can choose as few (or as many) meals as you want. You can also order bundles. These are themed and include options like their Family Bundle, Just for Me Bundle and Lunch Box Bundle. Most are either $89 or $99, and they contain various options from the menu. The bundles are useful if you want a discount or if you don’t want to manually choose the meals you’re ordering. They can be ordered individually or on a subscription. Shipping varies depending on where you live. But, orders of $89 or more are eligible for reduced cost or free shipping. All the meals are delivered fresh in a cooler, although you can freeze them if you want to. 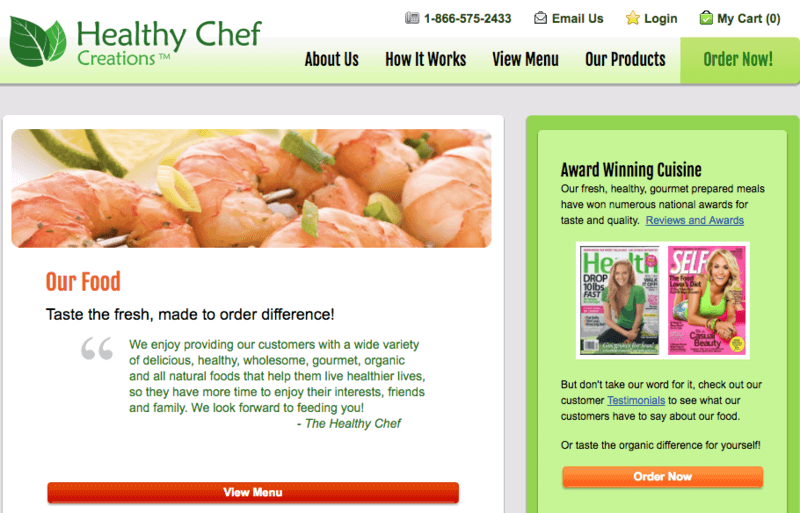 Healthy Chef Creations is an organic company that accommodates a wide range of dietary styles. This includes vegetarian, vegan, gluten-free, and dairy-free diets, along with others. Meals are always delivered fresh, never frozen, to help keep the nutrients intact. There are five main meal programs with the company. These include The Healthy Chef Diet, Healthy Mommy, and multiple Healthy Living programs. The Healthy Living ones include options for which meals you receive. For example, one is for dinner only, while another is for breakfast, lunch, and dinner. You can also choose between three, four, five, six, or seven days per week – and between a regular or large meal. Healthy Chef Creations allows you to specify multiple allergies/food preferences that apply to any meal plan. Healthy Chef Creations works well for anyone with allergies. You are able to specify multiple food preferences and allergens as part of your account and these are applied to any meal program that you order. You do need to pay extra per day if you have allergen preferences, which isn’t great. Still, many companies have fewer options. The price varies depending on the plan and your selections. For example, the Healthy Living Lunch & Dinner ranges from $34.99 to $41.99 per day. You can also order for one, two, or four weeks at a time and you can choose between a one-off order and a recurring one. With so many price variation, finding the average per meal is difficult. But, for the smallest option for the Healthy Living Lunch & Dinner is $125.97 per week for six meals, which averages to around $20.80 per meal. Larger plans have a lower cost per day, as is always the case. Still, this price is a limiting factor. Most companies start off at around $15 or $16 per meal max and decrease from there. NutriFit is simply an interesting company. They are absolutely amazing in some ways – offering many customization options and support for just about every type of diet out there. But, the company is also incredibly frustrating and also charges extra fees for many of their services. They do focus on organic ingredients, which is why they’ve been included in this list. Their FAQs state that NutriFit uses organic ingredients wherever they can. They even grow some organic ingredients themselves. Their animal-based protein tends to be organic, wild, free range and/or free from antibiotics, hormones, and preservatives (the exact combination depends on the animal in question). Interestingly, you can also get 100% organic meals – but there is an extra fee for these. NutriFit is a little expensive and frustrating to use but it does offer more customization than most other companies. The basic idea is that NutriFit offers two plans. One is their Essentials plan. This offers basic customization, such as the ability to exclude some ingredients. You can have any combination of breakfast, lunch, and dinner. You can also see meals before you get them but you can’t influence which meals you receive. The Premium plan is completely customizable and can be tailored to any diet that you like. It also includes various soups, snacks, salads, and desserts, and is entirely gluten-free. But, meals under the Premium plan do cost more. For example, a 28-Day Dinner Only Plan costs $17.95 per day under Essentials and $28.95 under Premium. Paleta is best considered a mostly organic company. They do aim to choose organic whenever possible but never claim to be 100% organic. Instead, the company focuses on the ideas of farm to table and sustainable purchasing. As part of this, they buy from local producers and pay close attention to their practices, regardless of organic certification. Even though the proportion of organic ingredients may be lower than with other companies, this style is just as powerful for health. As Paleta points out, organic certification is cost-prohibitive and many producers simply cannot afford it. Organic isn’t a complete indication of farming practices anyway. By focusing on what producers actually do, Paleta should be able to source better ingredients than many other companies. Paleta is a farm to table company and provides multiple meal sizes and styles that you can choose from. Paleta offers multiple different plans to choose from, including a paleo/gluten free menu, a plant-based menu, and a market menu. The last one relies on Mediterranean meal styles. In most cases, you can choose between three portion sizes: Fit (1,200 calories), Lifestyle (1,600 calories), and Performance (2,200 calories). These are priced at $49, $59 and $69 per day, respectively. Those price points include three meals per day and dessert. Lifestyle and Performance include a snack as well. The FAQs indicate that you don’t need to get all meals every day. Instead, there is just a $25 daily minimum. For individual meals, dinner tends to be around $20 to $23, while breakfast is around $20 to $22 and breakfast is $12 to $14. Those prices are on the high side but they’re only rough estimates. The totals will vary depending on your plan. The focus on vegetables is obvious from the name Veggie Vibes alone. More specifically, the company offers vegan and organic meals, ones that rely on whole ingredients and avoid processed options. Most of their meals are also raw, which can mean you get more nutrients. Like many companies, Veggie Vibes isn’t completely organic. They estimate that 95% of their ingredients are. The reason is that some produce comes from small farmers that don’t have organic certification. Despite this, those farms do have clean produce and Veggie Vibes selects its suppliers carefully. Veggie Vibes provides vegan and raw meals, and has multiple interesting meal plans to choose from. The meals from Veggie Vibes are certainly unusual – which isn’t surprising given their raw nature. This is reflected in their plans as well. The four main plans are: Alive, Reset Cleanse, Savory Raw, and Your Selection. The first three are all themed, with the Alive simply being a standard option. Reset Cleanse has a greater focus on detoxing, while the Savory Raw plan just includes savory items. Savory Raw also covers lunch and dinner only, while the other two include breakfast. In each case, you can choose to order on a subscription or as a one-off order. You also pick between three, five, and seven days. On subscription, the Alive plan costs $163 per week for three days and $336 for seven days. The Reset Cleanse costs $138 for three days and $264 for seven days. The Savory Raw costs $138 for three days and $243 for seven days. Finally, the Your Selection plan costs $163 for three days and $336 for seven days. This one is slightly different as you get to customize the meals. With this, the three-day plan contains 12 items, while the five-day has 20, and the seven-day has 28. You choose which items you want from their weekly menus. Planning this way would take time and you need to provide all the details in advance. But, it’s a cool way to go if you want complete control over your meals. TrueFare once went under the name Pre-Made Paleo and still maintains the same paleo focus. The company also emphasizes Whole30, ketogenic, and AIP diets, providing a range of meals in each category. All of the protein used is sustainably sourced and TrueFare even provides details of their key suppliers. The company is also organic, relying on locally sourced organic produce. However, it’s not clear whether all, most or just some of their ingredients are organic. TrueFare offers paleo and Whole30 meals. There are many options to choose from, although these can get a little confusing. Ordering is slightly confusing with TrueFare as there are various plans and subscription styles that you can choose from. For example, Menu R costs $139.95 and contains ten meals (five different types, two of each). You can also make various changes, such as specifying regular or warrior size, the type of protein you want and whether you want vegetables included. The options often alter the price. Other plans operate in a similar way, with a different selection of food included. While you can pick the menu based on the meals that you like, you cannot choose which individual meals you receive. You’re also limited to the duration of the plan. Options include 5, 10, 15, 20, 30, and 40 meals – but they don’t apply to all meal plans. Most plans average out somewhere between $12 and $15 per meal. That’s fairly reasonable for this type of company, especially given that the meals are all organic. Still, TrueFare would only be appealing if your needs matched one of the plans. Like many options on this list, Vegin’ Out uses organic ingredients but they don’t make any guarantees. Instead, they use organic whenever possible. This should mean that most of the ingredients are organic, but there is no way to know for any given meal. Even so, the vegan focus should mean that the meals themselves are very healthy. Instead of a conventional meal plan or A la Carte system, Vegin’ Out offers a meal order package. This contains three entrées (in a 24 oz container), four side dishes (in a 16 oz container), one soup (in a 32 oz container), and five cookies. The components are all based on the menu for the week and your meals will change from one week to the next. Vegin' Out only provides one package, which you can get single or double servings of. The style is interesting. It gives you more versatility than normal, as you could mix and match the sides. It’s also hard to know how long many days the meals would cater for. The packaging could make portioning out your meals difficult too. That may be a problem for anyone focused on weight loss. To order, you choose either a Single or a Double order. The Single is what was listed in the package. The Double is just twice that. If you live in Los Angeles, the Single costs $127.99, while the Double costs $249.99. People who live in Southern California, Northern California, and Arizona have to pay $149.99 or $259.99 for the same options. If you’re anywhere else in the nation, the cost jumps to $189.99 and $360.90. The structure makes it difficult to know whether the food is worth the price that you pay. If nothing else, it’s a different style and it may work for some people. You can make allergen specifications as well. In some cases, you may get modified meals as a result. Other times you’ll get duplicates of sides or entrées.